We Need A Revolution. 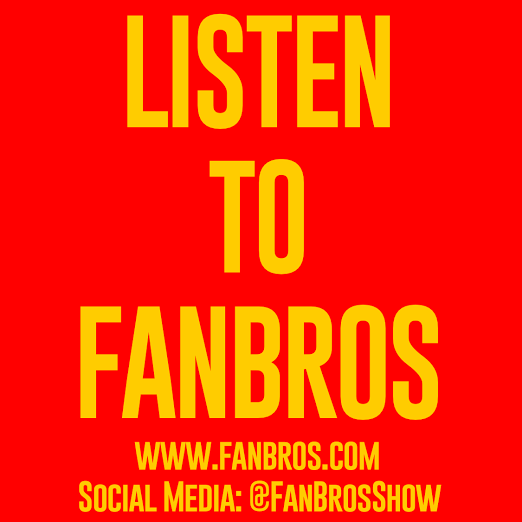 On the latest FanBrosShow we welcome Joe Illidge, author of the newly released Solarman comic book, back to the spaceship for one of our most important episodes ever as we discuss the insanity of the reality of police brutality today in America. Tatiana King returns from her sojourn to New Orleans to reunite with Chico Leo, BenHaMeen & returning original FanBro Jamie Righetti as the Fantastical Four are reunited once again! We tackle the real but we also had to speak on the Iron Rihanna controversy as well as some of the craziest & greatest Geekquently Asked Questions ever. This week’s Comics I Copped is extra lit and Tatiana had to hit you with that Tech Talk With Tatiana that you know you need in your life. It’s an epic episode to say the least so make sure you join us as we work through this time together.